If you are thinking about switching to vaping, you may be wondering what vapour actually is, and how it is produced. Vapour is produced by heating e-liquids until the point of vaporisation. E-liquids, otherwise known as e-juices, are vapable liquids designed to be used in vaporizers. E-liquids come in thousands of different flavours and may or may not contain nicotine. The flavour of juices can vary from simple single-flavour liquids to complex multi-faceted flavours that produce different tastes during inhalation, exhalation, and even afterward. E-juices containing nicotine are an excellent way for cigarette smokers to cut down or quit smoking altogether. Nicotine levels in e-liquids typically range from 3mg/ml to 24mg/ml, but have been known to reach even higher concentrations. For light smokers who consume less than 10 cigarettes per day, a juice containing 3mg to 6mg of nicotine may work best. Medium smokers should consider liquids in the nicotine range of 6mg to 12mg. Heavy smokers who consume 30+ cigarettes per day should consider trying liquids containing 12mg to 24mg of nicotine. E-liquids are typically composed of a mixture of distilled water, propylene glycol (PG), vegetable glycerine (VG), ethyl alcohol, nicotine, and extracts or added flavours. 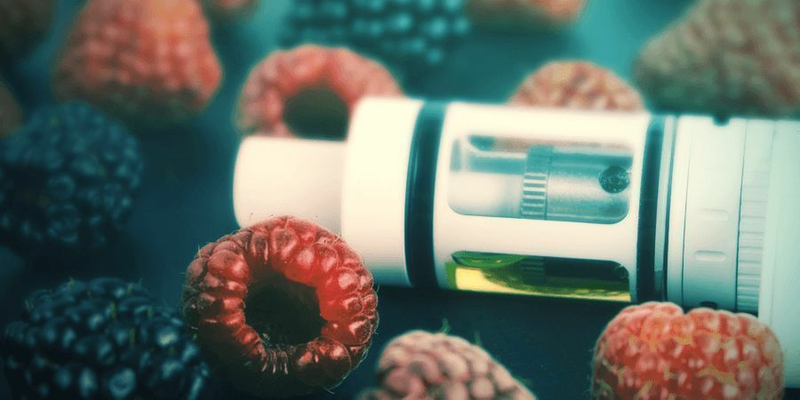 Propylene glycol and vegetable glycerine typically make up 90% of the juice, with flavour extracts and nicotine usually making up no more than 10% of each bottle. Most economy e-liquids use food-grade flavouring in their juices. However, premium juices tend to use multiple food-grade extracts to produce more complex flavours. Some e-liquids are infused with herbal ingredients for added benefits. Zamnesia’s Smart Liquids offer you a simple and convenient method of consuming beneficial herbal extracts like kanna, damiana, and CBD. Each bottle of Smart Liquid contains a natural concentrate derived from the herbal products stocked in our Smartshop. These liquids contain no additives or potential contaminants, instead offering a pure herbal vaping experience. Whether you are looking for something to energise you or something to calm you down at the end of the day, check out our Smart Liquids for a pleasant vaping experience. PG AND VG: WHAT ARE THEY? Propylene glycol (PG) and vegetable glycerine (VG) are the two most common ingredients in e-juice. PG is the most commonly used of the two liquids. It has a thinner consistency that makes it easily absorbable by the cotton fabric and polyfill inside of cartridges or wick tanks. Because of the liquid’s low density, gunk and debris do not build up on the heating element as quickly as they do with the thicker vegetable glycerine. Propylene glycol is a completely tasteless and odourless liquid that will not alter the flavour of your e-liquid in any way. When compared to VG, PG produces a stronger hit of vapour, more similar to cigarettes. However, as a result, it also irritates the throat more. Additionally, PG has been responsible for causing allergic reactions in some users. These can range from minor reactions, like tingling, to more serious ones, like prolonged irritation. If you experience any kind of adverse reaction when using PG, it is recommended that you discontinue use. Because of its thickness, VG is capable of producing fat, billowing stacks of vapour. 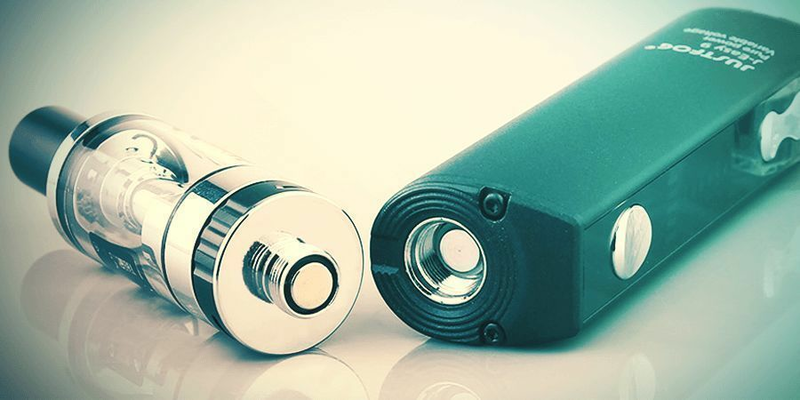 VG has a slower absorption rate for cartomizers and wicks, and tends to clog up vaporizers. Unlike PG, VG does have some effect on the taste of e-liquids. Vegetable glycerine has a mildly sweet taste and odour, which will affect the flavour of whatever it is mixed with. Although VG is usually less allergenic than PG, some users experience a buildup of phlegm when using it. Many people prefer using VG because it is less irritating on the throat, and because of the huge amounts of vapour that it produces. WHY SHOULD YOU CHOOSE SMART LIQUIDS? Zamnesia’s Smart Liquids allow you to experience the benefits of natural plants and herbs in the form of delicious vapour. Our pure and potent Smart Liquids deliver many of the same benefits as consuming these herbs in their natural form. Our collection of liquids can be conveniently vaped in any kind of conventional vaporizer that processes e-liquids. Cannabidiol (CBD) is a cannabinoid found in the cannabis plant. Along with THC, CBD represents one of the two most important cannabinoids in the plant. However, whereas THC is a psychoactive cannabinoid known for its ability to get you high, CBD is non-psychoactive. This means that you can experience the benefits of CBD while remaining perfectly sober. CBD induces a calming, relaxing sensation that has been proven to reduce anxiety and potentially help treat depression. CBD is also used for a wide range of mental and physical conditions such as epilepsy, withdrawal, neuropathic pain, and inflammation, among others. Vaping is one of the most effective and convenient ways to consume CBD. Whereas edibles can take an hour to induce effects, vaping CBD allows it to work within 30 seconds. This is an especially important difference for medical patients who cannot afford to wait for effects to kick in. Moreover, vaping CBD is just as discreet as consuming edibles. When compared to smoking, vaping CBD reduces your exposure to contaminants and carcinogens. According to recent studies, in the short-term and the mid-term, no negative health effects were observed from vaping. 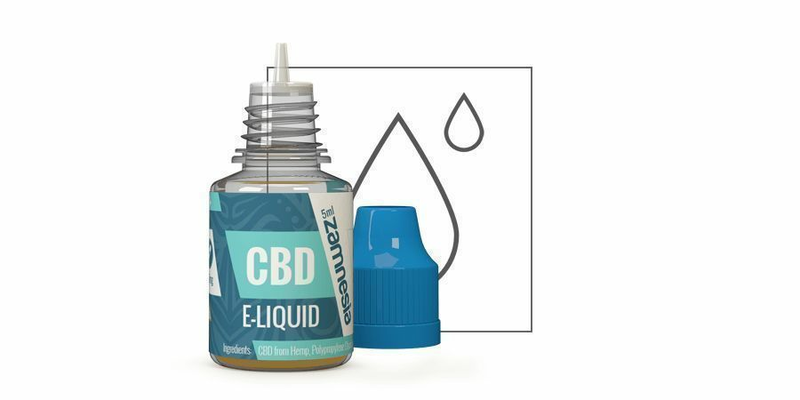 Zamnesia’s CBD Smart Liquid is designed to maximise convenience and flavour. This e-juice is made from certified European hemp, and since it contains only trace amounts of THC, is legal throughout Europe. Our CBD is extracted using clean, solvent-free CO₂ technology, ensuring that each bottle contains nothing but pure cannabidiol. Damiana Smart Liquid is an all-natural e-juice that contains only the herb damiana itself and vegetable glycerine. Damiana is an herb originating from Mexico that has long been used as a sexual tonic and aphrodisiac. Its traditional use has been supported by laboratory evidence that shows an increase in sexual activity amongst animals that consume it. While damiana is still widely used for its aphrodisiac effects, many have also come to appreciate it for its anti-anxiety and antidepressant properties. The herb produces mildly uplifting and relaxing effects, both physical and mental. These can be enhanced by mixing the herb with other natural relaxants like St. John’s Wort and Skullcap. Zamnesia’s Damiana Smart Liquid induces physical and mental relaxation by reducing anxiety and elevating mood. 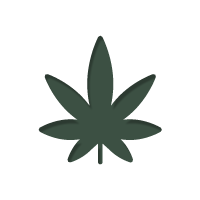 Damiana can be consumed in numerous ways, such as in the form of tea, tincture, or as a smokable or vapable herb. 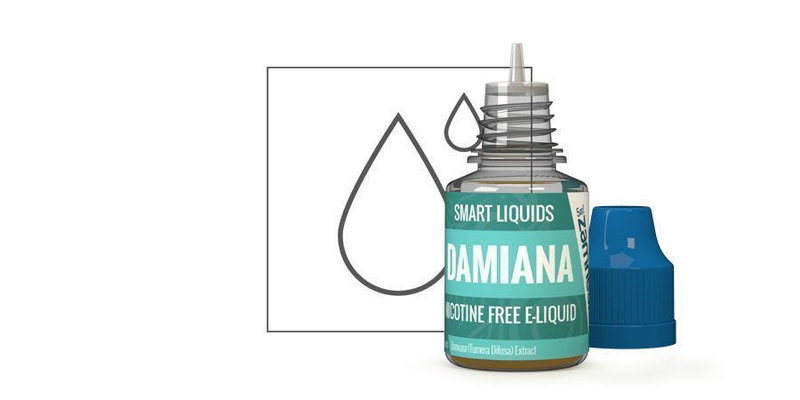 Damiana Smart Liquid is capable of producing the same effects as other methods, except in the form of delicious, pure vapour. The flavour of this e-liquid stands out since damiana is naturally sweet and appetising. It is even sometimes used to sweeten and enhance cocktails. Kanna juice is derived from the South African kanna plant. The herb has long been used by the San and Khoikhoi tribes for its stimulating, relaxing, and socialising effects. Kanna has traditionally been consumed by itself or as part of a smokable blend with cannabis. However, nowadays kanna can be enjoyed in the form of a vapable e-liquid! Zamnesia’s Kanna Smart Liquid is an ultra-pure alkaloid concentrate. This potent e-juice is conveniently designed to be used with any electronic cigarette. Kanna Smart Liquid is characterised by intense, uplifting effects that can be felt after the first 2 to 3 puffs. As such, beginners should dose carefully. 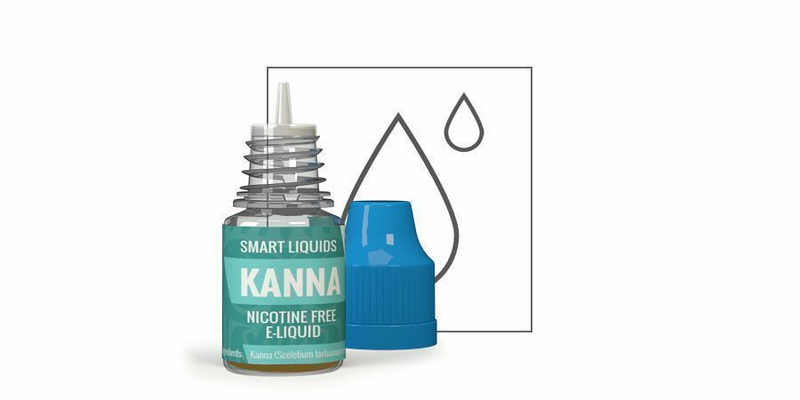 Every millilitre of Kanna Smart Liquid produces more than 120 puffs, and the effects of the liquid kanna will be similar to those experienced when consuming it in dried or powdered form. The effects of kanna are stimulating, relaxing, and euphoric. When it is vaporised, the effects are more calming and less euphoric than when taken orally or sublingually. The effects should be felt within less than a minute, and an initial rush should be expected. Be sure to pace yourself with this ultra-potent Kanna Smart Liquid; side effects of high doses include nausea, dizziness, headaches, and anxiety. HOW DO YOU USE SMART LIQUIDS? Zamnesia’s Smart Liquids are designed to work with any conventional vaporizer. However, for maximum flavour and effect, we recommend trying out the Justfog Q16 Single Set 900mAh vaporizer. 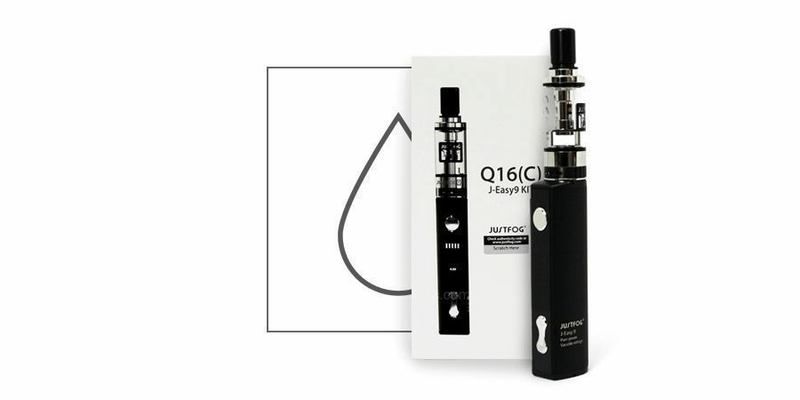 The Justfog Q16 is a reliable vape with a compact, convenient, and easy-to-use design. The Justfog Q16 was designed with convenience and usability in mind. Unlike other vapes, its Star Shield System prevents liquid from splashing upwards into your mouth. It can be conveniently charged through any USB port. Additionally, the Q16 features a pass-through function that allows you to use the device while it is charging. It has an adjustable voltage, ranging from 3.4 to 4.8 volts, allowing you to easily set up your ideal vaping experience. It is also compatible with coils from 1.0 ohm and up, which makes it perfect for mouth-to-lung vaping. Mouth-to-lung vaping at lower wattages and higher resistances can closely resemble the feeling of a real cigarette, without compromising flavour. Mouth-to-lung vapers will also enjoy the Justfog Q16’s narrower vapour passage that allows for a tighter draw. Because of this narrower passage, thinner e-liquids containing at least 50% PG are recommended. 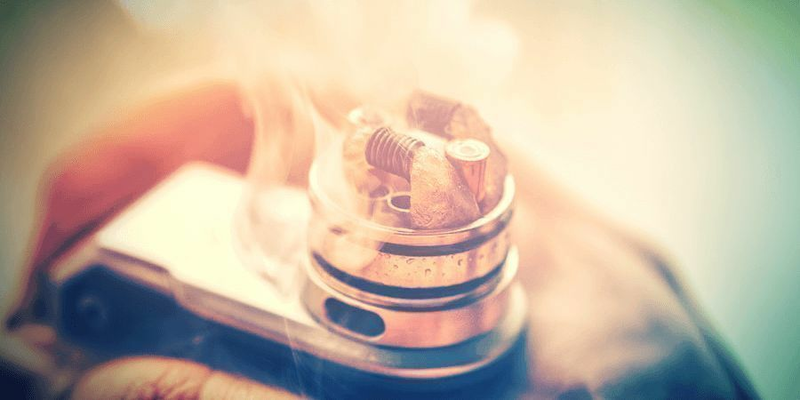 In order to ensure the best vapour, coils should be changed every 1–2 weeks.